If you’re new to social media, don’t expect to figure things out right away. Finding the perfect strategy requires experimentation and a bit of experience before everything falls into place. According to Social Media Examiner, 97% of marketers use social media to carry out their marketing efforts but 85% of those participants are still not sure whether their current strategy is working. This tells us that even the most experienced marketers still don’t have social media marketing all figured out. When playing around with different social media marketing techniques, be sure to tread with caution. One small mistake in this highly viral age can get you major publicity – and not the good kind. Below are a few of the biggest rookie social media mistakes we’ve seen committed by some of the biggest brands we know. When diving into social media marketing, one of the first things you have to think about is your username or handle. The goal is to make yourself as searchable as possible – and that means choosing a social media handle that’s easy type in and find. Potential customers who want to learn more about you will naturally look you up on the internet using your official brand name. It’s important that you think of a social media handle that’s as close to your business name as possible to avoid disastrous confusions. This seems obvious when you say it, but even big brands sometimes fail to think things through. When Netflix launched Qwikster, they created a Twitter account for it but failed to secure the name. Many users ended up accidentally following the @qwikster account, which was owned by a teenager who tended to curse and tweeted a lot of offensive stuff. Netflix tried to negotiate but Jason Castillo, the owner of the account, stuck out and kept the account. When signing up for an account, see if you can use your official brand name as your social media handle. If not, try to see who got it first and try to negotiate. If they won’t budge, create a slight variation of your name but keep it as simple as possible to avoid confusing potential followers. Social media marketing is an ever-changing game and if you want to keep up, you have to have a strategy. If you want your online marketing efforts to bear fruit, start with a clear idea of what you want to achieve. Once you have your goals set in place, you can then brainstorm actionable steps that will help you achieve them – and that, my friend, is your strategy. There’s more to social media marketing than just posting. You must properly utilize the platform that you have in order to add value to your brand and services. Back when Instagram was just starting out, not all of us had the carefully curated feed we all have today. Domino’s was one of the brands who did not have a clear idea of what Instagram was about back then but they jumped on it anyway. There’s no love like ? love. ?? This photo might’ve been taken by a teenager with their first smartphone. Their blurry attempt to depict one of America’s all-time favorite foods shows just how much preparation went into their Instagram marketing campaign – zilch! Thankfully, they’ve come a long way and their Instagram feed is much easier on the eyes these days. To augment your own social media strategy, you can try buying engagement signals for your social media accounts, like Twitter Followers, Instagram Followers, or YouTube Views. This will improve your social proof, compelling people to check out your content when they see how popular it is. Give it a try today! Using Social Media to Sell, Sell, Sell! Social media has changed the way we do business, and customers can now do a lot of their shopping without leaving home. This phenomenon has pushed brands to make their products and services available online either through their website or through platforms like eBay and Amazon. We are even seeing some companies turn their brand page into an online store. While there is nothing wrong with pushing your products online to customers, there is a line to be drawn here. Social media accounts are to be used for marketing and not selling. The purpose of social media marketing is to add value to what you offer in order to become an indispensable option for consumers. Pushing your products too much to internet users can be taken in bad taste if you don’t make it relevant. Instead of pushing their services, AirBnB creates posts that make you want to travel – and highly consider booking an AirBnB when they do. Your customers are already bombarded by ads the minute they check their social accounts, so spare them from another pushy advertisement by giving them something worth sinking their teeth into. You can’t get away with social media marketing without doing research. Publish a social media post or a blog that’s not backed up by facts and you risk being called out by netizens in an instant. Brands who succeed on social media are those who are able to establish themselves as a credible source for information relating to their industry. 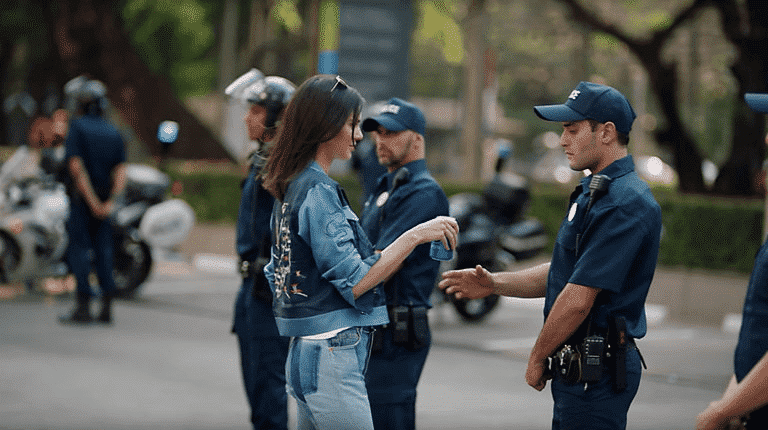 Recently, Pepsi and their ambassador Kendall Jenner received major backlash for their latest campaign, which people felt undermined the significance of the Black Lives Matter movement. The video showed Jenner handing out Pepsi to those who are standing in protest. While they initially wanted to evoke a message of peace, it was clear that the campaign didn’t do the movement justice by neglecting to put proper research and thoughtful planning into the video. The campaign has since been pulled but both Pepsi and Jenner are still receiving bad press from it. Social media allows you to connect to billions of people with a single post, and that’s why it’s important that you remain objective about various sensitive issues. As a brand, you’re seen as having a moral responsibility to your online audience and being offensive towards any group of people can land you in hot water. You’d expect a global brand like Adidas to be more careful about what they publish online, but they recently tweeted something that many people took offense over. 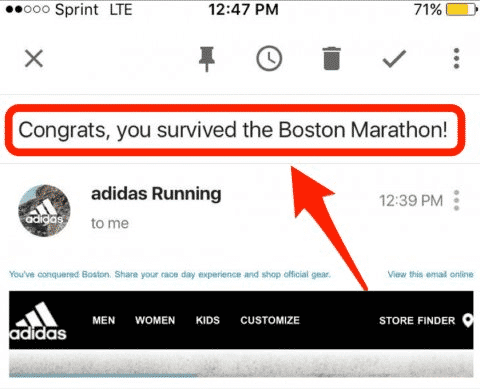 In their defense, the company was referring to the more recent 2017 Boston Marathon, but they failed to show sensitivity to those who fell victim to the 2013 bombing incident. This just goes to show that even the best intentions can be misinterpreted on social media so best be careful. Brands who are new to the world of social media marketing can easily get overwhelmed by the number of accounts you have to set up and manage. You have to quickly learn how to optimize each account and update them in the most efficient way possible. 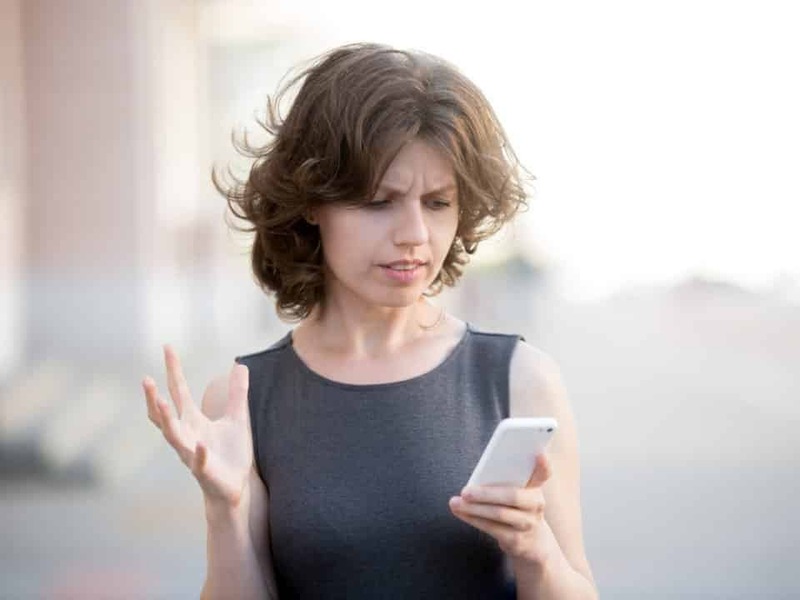 It’s easy to play around with a particular setting on social media and completely forget about it the next second – but even the slightest oversight can cost ya’. CVS once opened a new Twitter account, @CVS_cares, with a mission to provide more convenient channels for their customers to address their concerns and questions. But as you can see, it wasn’t so easy to get ahold of them. This frustrated Twitter users who had to wait for page administrators to approve their follow request. This posed a major barrier that defeated the purpose of creating a customer service account. CVS has since deleted the account, which tells us they’ve aborted the mission of providing their followers with better customer support over social media. If you want people to take you and your campaign seriously, you have to keep errors to a minimum. Slight grammatical errors and misspellings are usually forgiven but being more religious about proofreading can do wonders to your reputation. Just this year, the Department of Education was roasted by Twitter users for misspelling the name of renowned civil rights activist W.E.B. Du Bois in one of their posts. In an attempt to rectify the situation, the Department of Education issued an apology – with yet another spelling mishap! All the posts have since been edited but the internet had already seen everything before they could do anything about it. The lesson: always proofread, especially if you’re the Department of Education. Social media is one of the most powerful marketing platforms available, and you have to use it with utmost caution. Everything you post online can affect your reputation so make sure your online persona is aligned with the overall brand image you want to portray. Learn from some of the biggest mistakes we’ve discussed here today so you can supercharge your social media marketing campaign without risking your credibility. Start off your campaign strong by purchasing a few thousand Followers and other social signals to help people find you on the internet. Combined with a careful and well-planned strategy, bought social signals can help you achieve your marketing goals at a much quicker pace. Remember, with a great social media presence comes even greater responsibilities – use your newfound platform well and venture through the internet with caution.